For many potential homeowners, the process of buying can be a stressful process! However, it doesn’t have to be! We have put together 5 tips for buying a house in Jacksonville! Buying a home is likely one of the largest purchases you will ever make. The good news is, you will likely not need to rush. By taking your time, and learning about all of your buying options, you will be able to find the perfect home. Buying a house is expensive! If you plan to use financing, you will need to save up 20% for the down-payment using a conventional loan. If you decide to get an FHA loan, the amount of your downpayment will drop to only 3.5%, however, you will need to carry additional mortgage insurance. If you are using financing, it is important to get pre-approval from the bank before making an offer. Sellers will not take you seriously without pre-approval. If you are paying in cash, this part of the process becomes a lot easier. Not only will you have to pay for the house itself, but there are many additional costs to consider, and they will add up quickly. If you decide to involve agents, the commissions and associated costs will come in to play. There will be closing costs, transfer fees and likely some improvements and repairs you will want to make before moving in. There will be moving costs, boxes and time spent loading and unloading your belongings. And once you are all moved in, there is still the decorating to do. Make a list and stick to it. Determine the things you “must-have” such as the number of bedrooms and commute times. Make another list of things you would really enjoy having such as a pool or island in the kitchen. And finally, consider the things you absolutely won’t consider. This is where you would set the maximum price you can afford, and do not budge from it. Making these lists will help you avoid making decisions based on emotion, which is very easy to do when house shopping! The MLS isn’t the only place to find great homes for sale. There are many sellers who choose to sell without using an agent or the MLS. There are companies such as Acumen Investments, LLC that have wonderful inventories, with homes available for a direct purchase. Purchasing a home directly from a seller can ultimately be a better way to find a deal. What the seller saves in advertising and commissions, is often passed down to you! Not only are you buying a house for today, but you are likely buying the home in you will be in for awhile too. Your house should neet your current needs, and also be a place you can see yourself in the future. If you choose to sell it down the road, make sure you have a “timeless” property, that will provide you with a profitable resell. When buying a home in Jacksonville it is important to consider all of your options. There are many avenues you can take on the road to becoming a Jacksonville homeowner! We would love to answer any questions you may have and help you to take the hassle out of buying the traditional way! Get in touch with us today to see what we currently have in our inventory! 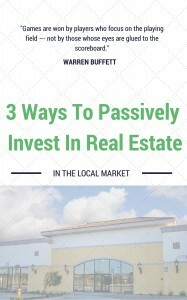 Strategies the Pros Use to Find Great Property Deals in Jacksonville! Should You Rent or Buy in Jacksonville? How To Buy Your Next House Without an Agent in Jacksonville!